FREDERICTON — New Brunswick has abandoned plans to host the 2021 Francophonie Games, throwing the international event into turmoil and escalating a feud with the federal government. 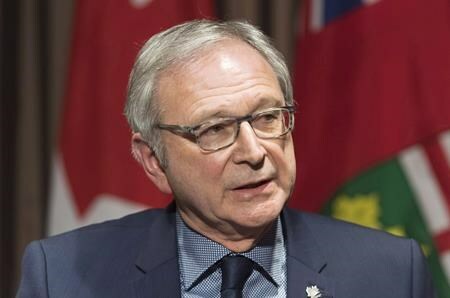 Premier Blaine Higgs blamed a lack of financial support from Ottawa on Wednesday, but some federal and provincial politicians say his minority Progressive Conservative government never intended to allow the Games to proceed. Cost estimates ballooned to $130 million from the original bid of $17 million, and Higgs said the province will withdraw because Ottawa’s funding formula was inadequate. “This was a very difficult decision. We wanted these Games to go forward,” Higgs said. The province’s decision to pull the plug brought immediate blowback from federal officials, but Dominic LeBlanc, the federal minister of Intergovernmental Affairs and a New Brunswick MP, said he wasn’t surprised by it. “I think they planned all along to scuttle the Games,” he said. Higgs, who took power in November, had previously said the province would cover only its original commitment to spend $10 million on the Games. He said his government recognizes the Games are an important sports and cultural event, and they’d be happy to host if Ottawa paid for them. “We need to look at these as a national event with events that could happen in different provinces, with a contribution such as we’re willing to make here, but it’s got to be a different process because this is more than a province can take on,” Higgs said. The ninth Games of La Francophonie were scheduled to be held in the summer of 2021, attracting 3,000 athletes and artists from more than 50 member states that have French as a common language. During an event in Quispamsis, N.B., last week, Prime Minister Justin Trudeau said Ottawa would only match provincial spending dollar-for-dollar. “The Francophonie Games are important not just for francophone communities across this country but indeed around the world, and the athletes who were always looking forward to participating, of course, will be disappointed,” Trudeau said. The original bid would have seen Ottawa and the province paying up to $10 million each, with the two host municipalities, Moncton and Dieppe, paying $750,000 each and the balance coming from ticket sales. However, a federal consultant’s report pegged a reasonable cost at between $72 million and $115 million. New Brunswick has a net debt of $13.9 billion and the Progressive Conservatives have vowed to get finances under control. Kirsty Duncan, the federal sports minister, said they had hoped for further discussions on a funding proposal, but the province never offered one. “Unfortunately despite productive talks at officials’ level yesterday, they have chosen not to bring forth any resolutions to be a willing and open partner, and instead have allowed their self-imposed deadline to expire for their own bid,” she said in a statement Wednesday. She noted that New Brunswick is an independent member of the Francophonie and said she hopes it is taking steps to ensure the Games can occur elsewhere. The New Brunswick Acadian Society said the announcement represents a fundamental challenge not only to New Brunswick’s place in Canada, but also Acadie’s place in the Francophonie. Peoples Alliance Leader Kris Austin, whose party has been supporting the Tories, said he believes the government made a prudent decision. “As much as I’m an elected official, I’m also a taxpayer, so I can’t say I’m disappointed. I pay federal taxes as well and I’d much rather see federal money going to things that are needed in New Brunswick, and I just don’t see games as one of them,” Austin said. But Kevin Arseneau, a francophone and Green member of the provincial legislature, said the Tories did not seem to want the Games in the province. “The message that Higgs just gave New Brunswickers is that we’re too small to do big things here,” Arseneau said. The City of Moncton issued a statement Wednesday, saying it was unfortunate that the federal and provincial governments could not reach a deal on funding. Federal Health Minister Ginette Petitpas Taylor, the MP for the Moncton area, said it’s a lost opportunity to showcase the region. New Brunswick — one of 84 member states and governments that belong to the International Organization of the Francophonie — was awarded the Games in 2015. The website for the Games still had a countdown clock ticking away Wednesday towards the start of the games. The International Organization of the Francophonie issued a statement saying it regrets New Brunswick’s decision two years before the event. It said members of the orientation committee would meet in Paris to discuss the situation on Feb. 14-15. The Games include eight sporting events and 12 cultural events, including singing, storytelling, traditional dance, poetry, painting, photography and sculpture. The Games, which Canada hosted in the Ottawa-Gatineau area in 2001, are held every four years in the year following the Olympic Summer Games. You’ve got to hand it to Kubota. This is one unique video. The best in curling and the best in country music take to the ice (Bashaw Curling Club) in a battle of … well it’s real entertaining. If you’re a curling fan, a music fan… a Canadian… you’re going to love this video featuring Bamford’s “Country Junkie”. This is a beauty piece of Canadiana..
Kubota Canada brings two powerhouse Canadian icons together for one game on the curling sheet. 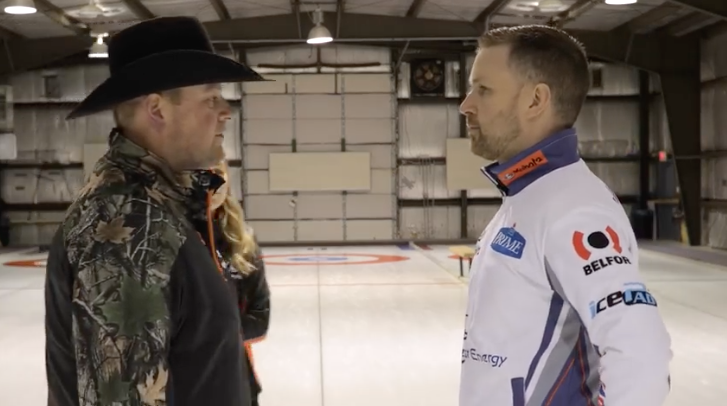 Two-time Brier champion, and Olympic gold medalist, Brad Gushue, battles two-time CMA winner, twenty-six-time CCMA winner and country star, Gord Bamford, in a contest unlike any other. Both men are slated to lead mixed teams fielded from local communities supported by Kubota Canada. This matchup will take on added meaning, as the winner will secure bragging rights for the foreseeable future and a point to their win column.